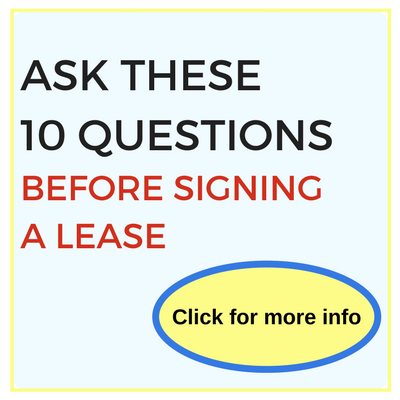 Have you ever thought of living on waterfront property, but have reservations about the lifestyle’s commitments? MilitaryByOwner’s latest Homes of the Week feature rental properties all situated on the water near the U.S. Naval Academy. Spring and summer are here! Go ahead and give the waterways a chance; they might be the start of a new love affair with coastal living. *Note - these homes are no longer listed, view more homes for rent or sale in Annapolis. What could be more perfect for a waterfront setting than a charming Cape Cod style home? Crab Creek is waiting for the new tenants to explore its banks from the dock. The acre lot has more than enough space to host crab feasts multiple times a year. Guests will certainly enjoy the views the wrap-around deck offers. Hardwood floors, wood burning fireplace, and ceiling fans throughout push the comfort factor way up no matter what time of year. Three bedrooms and two baths are the perfect amount to comfortably live in and explore the area while stationed in Annapolis. If storage was at the top of your wish list like it is for so many military members, the basement of this home is going to bring a huge smile. Although unfinished, it is clean and well maintained--perfect for military gear! The waterfront living lifestyle is as close as the front door of this house in the Tydings on the Bay community of Annapolis. 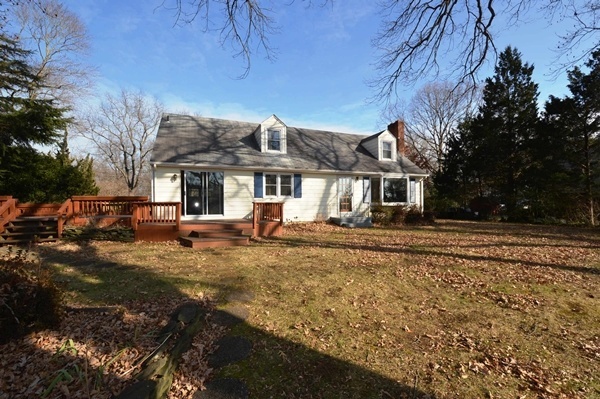 Inspirational views of the Chesapeake Bay, convenient dock access, and a quick trip to popular Sandy Point state park are all part of the way of life this forest cottage provides. An updated kitchen has stainless steel appliances and delivers plenty of room to prepare meals and entertain family and friends for weeknight dinners or weekend barbecues. Outside, the lower deck is ideal for al fresco dining on warm summer evenings by the shore. Plenty of open concept appeal is available to those in need of space for family or guests in town to visit. A waterfront, fully furnished rental home is waiting for its next lucky occupants. Lucky not only because of the of location on the Rhode River minutes from the Chesapeake Bay, but also because the monthly rental fee includes all of the utilities needed for the house to be comfortable. The views overlooking the river are of course stunning morning, noon, and night, but inside, the light streams through the relaxed gathering spaces like the kitchen and living room. Downstairs, more play space awaits to be used for family and friends, including miles of decking to take advantage of the spectacular views all year long. A dock and lift are available for your personal boat. 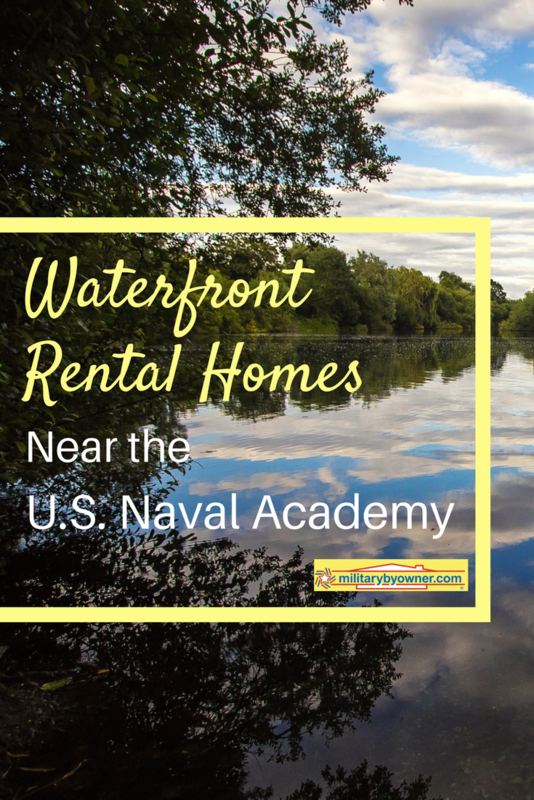 Ok, this home is a bit further of a drive from the Naval Academy, but it’s too special to let a few extra miles get in the way of the picture-perfect rental to enjoy the best of waterfront living! Every day, the scenic Patuxent River is the view you’ll wake up to each morning. Updated, spacious, and airy are just a few of the terms that fit the description of the interior of the property. The grand, open floor plan and high ceilings bring in the light of the day to bounce off the hardwood floors below. Three true bedrooms are available, with a spacious bonus room that could double as a fourth bedroom. On both levels of the home, two bedroom en suites are available to choose between as the master bedroom. One offers the luxury of a private deck, expansive walk-in custom closet, and soaking tub. More amenities await outside: lush landscaping, firepit, private pier, and two boat lifts. If living in a beautifully landscaped (and maintenance free!) townhouse is more your style, there’s a rental ready for you in Chester, Maryland, about 15 miles from the Naval Academy. Specifically, the Bayside Community on Kent Island sits on the Chester River and affords its tenants multi-season amenities, from use of the club house to walking and biking and water sports. Upper and lower decks on the house allow panoramic views of the and river wildlife at play. Three master en suite bedrooms are a unique and useful addition to the home, perfect for children or guests. During the cooler months, a fireplace is available for adding a cozy touch to the open concept gathering spaces. The kitchen is renovated and showcases granite counter tops and stainless steel appliances. Two toned cherry wood cabinets add a sophisticated detail. A one-mile walk leads to the Cross Island Trail, Chesapeake Exploration Center, public library, local restaurants, and beautiful beaches. Annapolis, Maryland is home to modern day military installations, as well as many important events in American history. There will certainly be no lack of entertainment and exploring options while you’re stationed here. But, the water views and landscape will always be the features that draw visitors to stay a while!